The excavation of sector Q is going well. 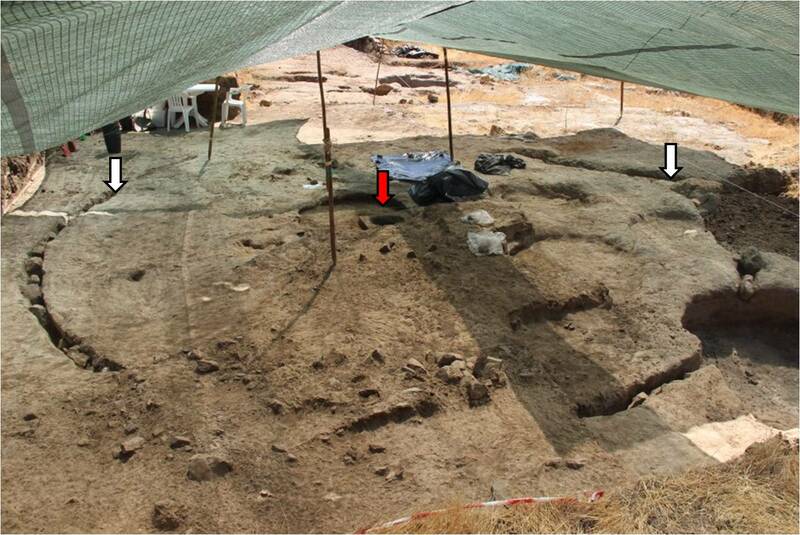 The circular structure is almost totally defined and a central large post hole was detected cutting the sediments of a previous Neolithic pit. Here is the general image of the structure as it stands at the moment. The white arrows mark the limits of the overture to East and the red arrow indicates the post hole (at the geometric centre of the structure). 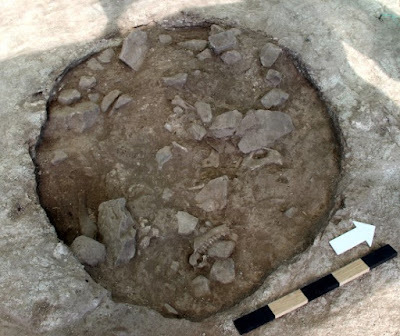 Near, there is another previous Neolithic pit, with quartz lithic material and faunal remains in the middle of small stones.